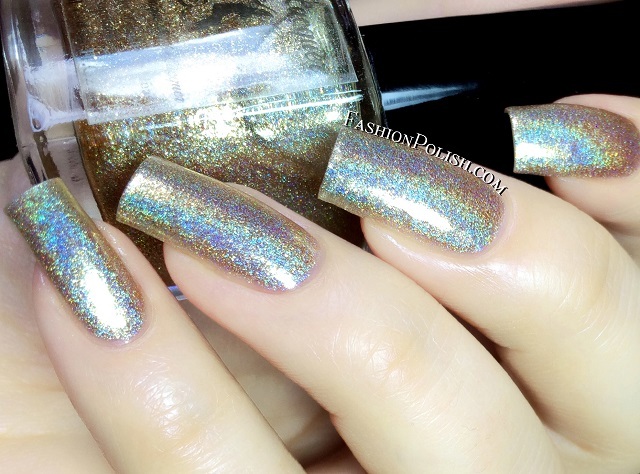 Fashion Polish: FUN Lacquer Summer 2014 Holo collection review! 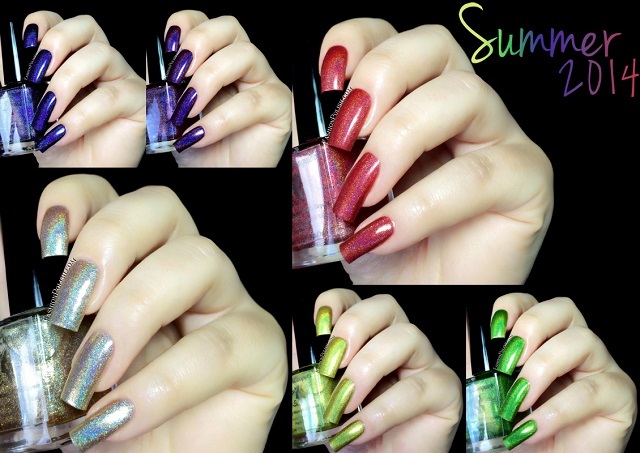 FUN Lacquer Summer 2014 Holo collection review! Hi guys! Are you ready for a holotastic collection? The FUN Lacquer Summer 2014 features 6 strong and saturated linear holos, perfect for the sunny days to come! Withfive bright linear holos and a bonus gold sparkling holo, the FUN Lacquer Summer is the perfect collection for the holo lovers! Formula and application were flawless in the entire collection, even and pigmented. I used 2 coats plus topcoat in all of my swatches but they all dried to a shiny finish. Margarita Cocktail is a saturated chartreuse with a strong linear holo. Very unique. 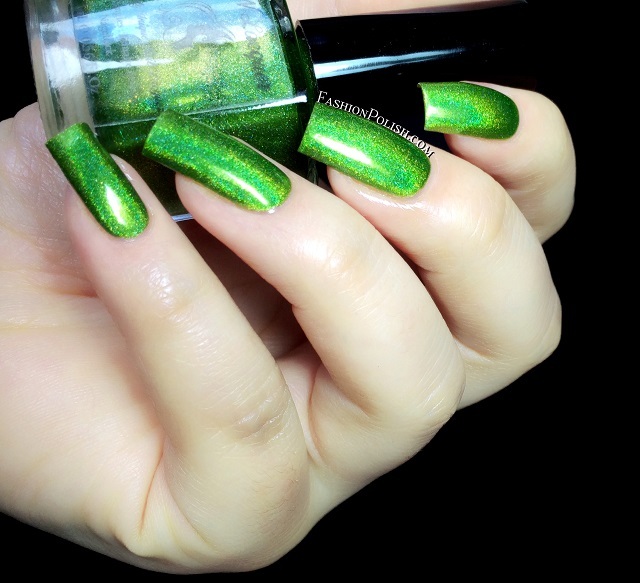 Mowed Meadow is a vivid grass green linear holo. I don't think it gets greener than this! 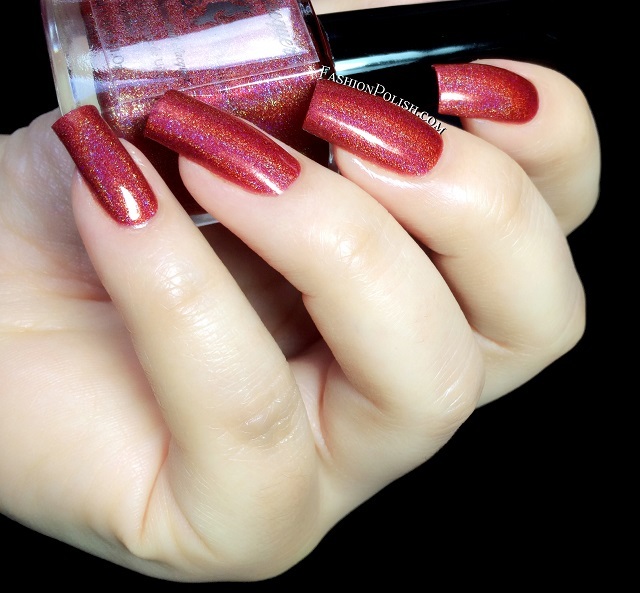 Radiance is a crimson red linear holo, so beautiful. 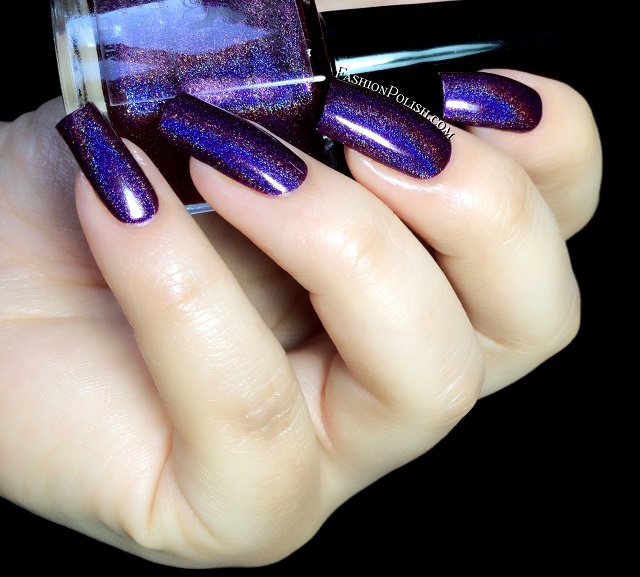 Evening Gown is a vampy purple linear holo. Very dark for a Summer color but the holo is really intense so I can't wait to see it in the sun. Starry Night of the Summer is a dark indigo linear holo. Another stunning vampy! 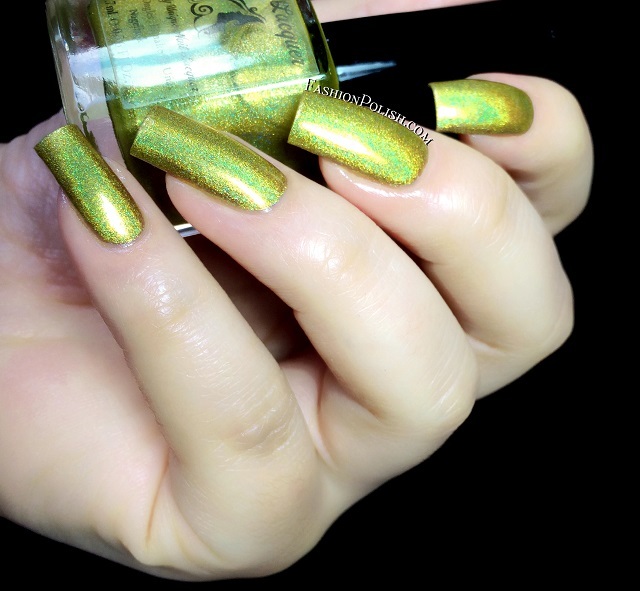 TGIF is a gold linear holo filled with gold and copper particles. I don't think it gets more blingy than this : so much sparkle! Another beautiful FUN Lacquer collection and another must have for the holo lovers. Some colors might not be for everyone but hey, who am I to judge! Don't ask me for m favorites because I just couldn't narrow them down. So what do you think about this collection? Have you ever tried FUN Lacquer? The FUN Lacquer Summer collection is scheduled for pre-sale on May 26th 12.30am SGT / May 25th 12.30pm EST and on the brand new FUNlacquer.com website. Official release date : June 9th.